The Vegas Bare Pool and Lounge at the Mirage Hotel & Casino is no illusion! Women are bare-bodied and the party is always going strong. 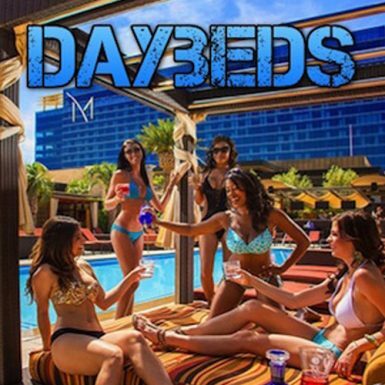 Cabanas offer intimacy while daybeds let party goers see and be seen in this hot spot of the Las Vegas desert. 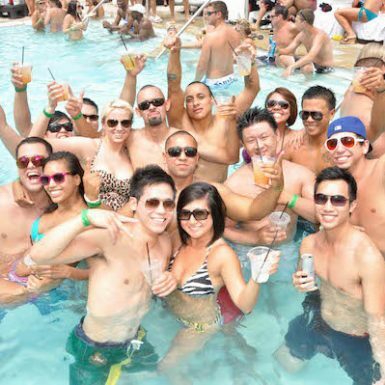 The Mirage attracts many of the local industry's hottest DJs and friendliest staff members to the Bare Pool Lounge, providing an exclusive experience that is incomparable to other local day clubs on the Las Vegas Strip. To continue the party into the night, check out the Mirage's 1 Oak Nightclub.